Darren Shan, the Irish bestselling author of Cirque Du Freak, The Demonata, and the Saga of Larten Crepsley series, will delightfully terrify teens and tweens with Zom-B Underground, the second in his epic bloody twelve book series. B awakens months after the zombies have emerged in Ireland, unable to remember the past few months, and uncertain whether the soldiers and scientists caring for him really have his best interests at heart. Zombies, zombie lovers, and everyone who loves to get FREAKED out - do not miss tonight's event with bestselling author Darren Shan as he presents the second book in his Zom-B series, Zom-B Underground! Darren Shan is the New York Times bestselling author of Cirque Du Freak, The Demonata, and the Saga of Larten Crepsley series. He lives in Ireland, and his books have sold more than 25 million copies worldwide. In order to have anything signed at a BookPeople event a copy of the event book must be purchased from BookPeople. If you purchase your book from BookPeople in advance of the event, please save your receipt and present it at the event. Thank you for supporing Darren Shan and your local independent bookstore! Darren Shan promotes Hell's Heroes - The Demonata Bk. 10. Darren Shan signs Dark Calling. Darren Shan signs Death's Shadow. Darren Shan signs Wolf Island. 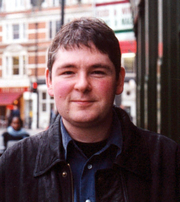 Darren Shan is currently considered a "single author." If one or more works are by a distinct, homonymous authors, go ahead and split the author. Darren Shan is composed of 6 names. You can examine and separate out names.